​I get to try lots (and I do mean LOTS) of skin care products as a practicing esthetician. This can be an AMAZING perk of the job but it definitely has its hazards. Over-sensitizing you skin is one of those periodic challenges. Too many products, too little time or an unexpected skin reaction can result in red, scaly, or itchy skin. To LEAVE IT ALONE but let's be real. Sometimes intervention is needed and your skin just needs a little TLC to get on the road to recovery. ​Maya Chia Supercritical Chia Waterless Wonder Balm meet all of the requirements to sooth over-stressed skin : they seal in hydration, aren't too stimulating, replenish the lipid barrier of the skin, and just plain feel good. ​How does your skin get 'sensitized'? Sensitized skin is typically what people mean when they say they have "sensitive skin". Sensitized skin is usually created by over stripping the skin's natural lipid barrier. Imagine your body as house and the stratum corneum (outermost layer of your skin) as the shingles on your roof. You would not dream of stripping off those shingles and still expect your roof to have no leaks and to keep your house protected from the elements. We essentially 'strip the shingles' off our skin everyday when we use harsh surfactants, synthetic chemicals, and aggressive exfoliation techniques in the pursuit of perfectly smooth skin. What happens if you strip them off faster than the body can replace them? The body will respond to these injuries by activating your immune system- swelling, increased circulation, etc. Some skin types can handle the abuse, others can't. Your tolerance levels are influenced by and change based on age, genetics, lifestyle choices, and even location of where you live (humidity levels, heat levels, etc). Despite my decade + as a holistic esthetician, I am not immune to over sensitizing my skin. I'm not 21 anymore and my skin has become less resistant to irritants over time and less tolerant to an overabundance of active ingredients. This facial oil is one of the newest from True Botanicals. 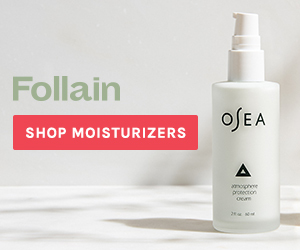 It contains skin loving oils such as organic avocado, raspberry seed, chia seed, and jojoba oils to help repair the skin barrier, provide anti-oxidants, replenish fatty acids, and keep moisture in. It has a gentle blend of essential oils as well (too many stimulating essential oils can irritate fragile skin too). This is where the magic happens. 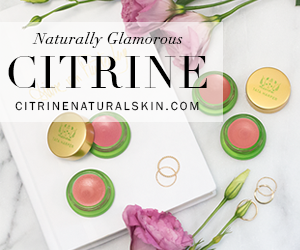 A rich, (shea) buttery balm is just what your skin needs while it is on the mend. Maya Chia's wonder balm is a melt-at-your-touch blend that keeps the 'good stuff' in and the 'bad stuff' out by creating a coccoon-esq barrier to the elements. Layer onto the skin (after applying your oil) to seal in all the hydration your skin needs to rebalance itself. These are two products that have worked wonders to repair my skin after one too many exfoliating masks but they aren't the only products out there. The key is to find (1) a nutrient dense, plant-based, non-comedogenic, lightly (or un-) scented oil as your base and then (2) a more occlusive, non-petroleum, plant oil based balm to seal it all in. what is your tried and true skin repair routine? have you tried these two? what did you think? share in comments!